Texas Gov. Greg Abbott ordered a criminal investigation of the Karolyi Ranch after information came to light in the trial of the former U.S. Gymnastics Team’s doctor Larry Nassar, who was sentenced last week to 40 to 175 years in prison for criminal sexual conduct. The ranch, owned by former national team coordinators Bela and Martha Karolyi, was the training ground for U.S. women’s gymnastics team and hosted gymnastics training camps for more than a decade. Located southeast of Huntsville in Walker County, the Sheriff’s Office is already investigating the ranch. Now, the Texas Rangers are too. Those athletes, as well as all Texans, deserve to know that no stone is left unturned to ensure that the allegations are thoroughly vetted and the perpetrators and enablers of any such misconduct are brought to justice. The people of Texas demand, and the victims deserve, nothing less. Karolyi came to fame for coaching the five time Olympic Gold Medalist Nadia Comăneci, and later the Olympic Gold Medalist, Mary Lou Retton. USA Gymnastics cut ties with the ranch earlier this month. 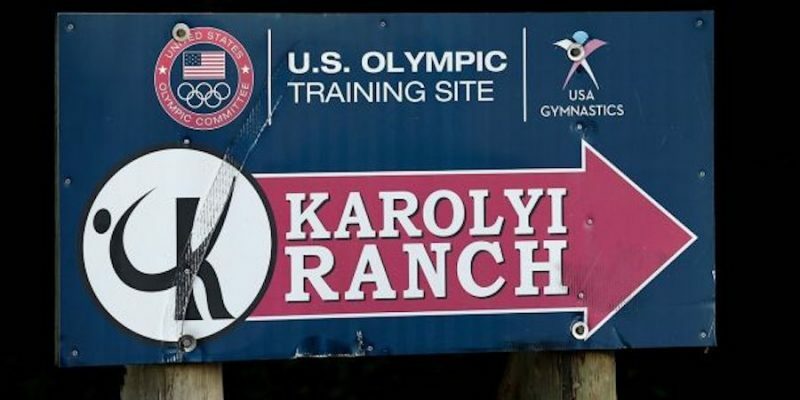 It also claimed that the Karolyis hit and scratched the girls who lived and trained at the ranch. Nassar was free to abuse the girls as long as the Karolyis did not report them. It is impossibly difficult to relive these experiences. And it breaks my heart even more to think that as I work towards my dream of competing in Tokyo 2020, I will have to continually return to the same training facility where I was abused. Previous Article VIDEO: Did You See Bernie Marcus Trash The Democrats On Tax Reform Friday?